Headcount in an organization remains fluid from year to year. On average, a company may experience a 12% turnover rate; those resigning on their own accord and some removed for transfer or cause. One way or another a device needs to be readied for the next or new user…be it a new device or a recycled one. Employee attrition triggers many support related activities, none-more-important than ensuring a positive experience for the new employee. As the new employee logs into their computer for the first time, it’s important to establish that technology is a key differentiator, but the automated support processes are equally critical to establishing customer satisfaction. Often times, organizations only look at the opportunity costs of losing employees or the costs for training the new employees. 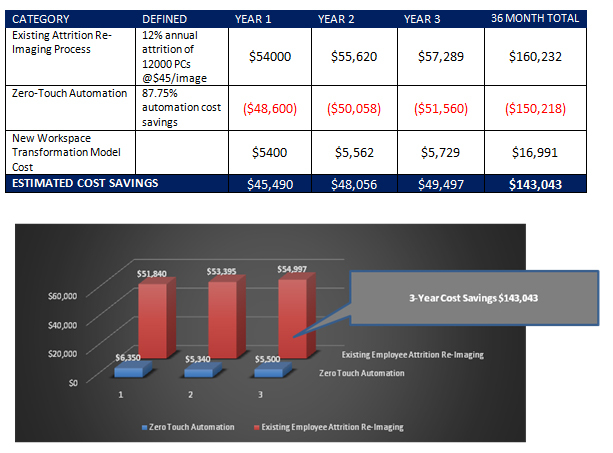 There are additional operational costs that sometimes get overlooked, such as the IT support costs for re-imaging a computer and preparing the device for the new employee. And In accordance with most compliance mandates, the former user’s device must be properly recycled and reimaged prior to any reintroduction into the fleet or return to the leasing company. The manual re-image process tends to be cumbersome, time-consuming and imprecise. In many cases re-imaging is a step back to Day Zero. From there, it needs to be rebuilt with a new image and all the relevant drivers re-injected, applications replaced and new profiles validated. IT Directors indicate that this process can be anywhere from an hour to 3 hours. However, applying automations, the process can be reduced by nearly 90 percent. By incorporating an on-demand self-healing protocol, a new user PC can be ready for use in about 2-3 minutes. If a larger, more invasive lift-and-replace condition is required, the whole process can be done in less than 40 minutes as opposed to a manual 4-6 hours. This process includes completely sanitizing the previous image, and reloading a ready-to-use-approved state for a new user. This automated approach ensures the erasure, imaging and re-allocation (or retirement) process is predictable, precise and repeatable. Not only does it drive down the total cost of ownership, and extend the lifecycle of the device….but also aligns with, fulfills and condenses compliance necessities. Simply, it allows the access and rights and approved image of the former employee to be quickly and efficiently replaced by the onboarding one. Using the “self-healing approach” of process automation, the last known state is already completely up to date and tested. This happens in the time the device is rebooted–about 45 seconds. 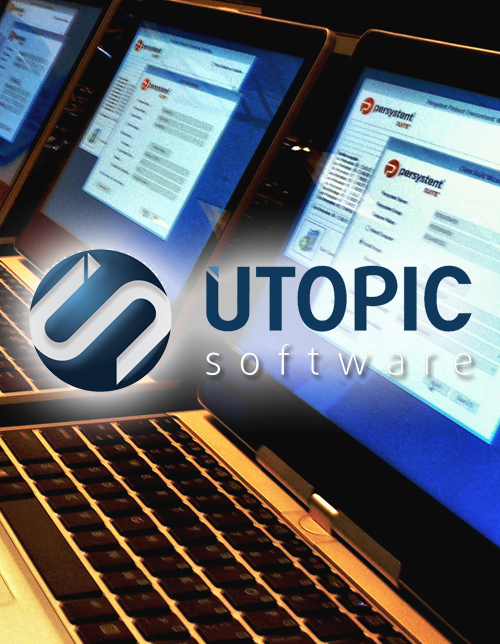 The rest of the time the system can be automatically configured to the new user–new or specific applications, security encryption, profiles, security elements—in a quick pass in another 2 or 3 minutes. Even faster if you have unique golden updated images for different groups like sales or accounting or shipping/receiving, etc… Even in the fastest manual processes, this takes 30 -45 minutes. With automation, it is down to 3. So, what was once a $54000 expenditure per year, with no guarantees that it was done without error, the new cost is about $6300 and —-is exacting to the compliance mandates and mistake free…and of course, the new user has immediate productivity and satisfaction. Essentially it reduces the overall ramp up cost of a new employee or the turnover costs of a former one.